In the early 1940s Truman Capote was fired from the New Yorker when he offended Robert Frost by walking out of a poetry reading. 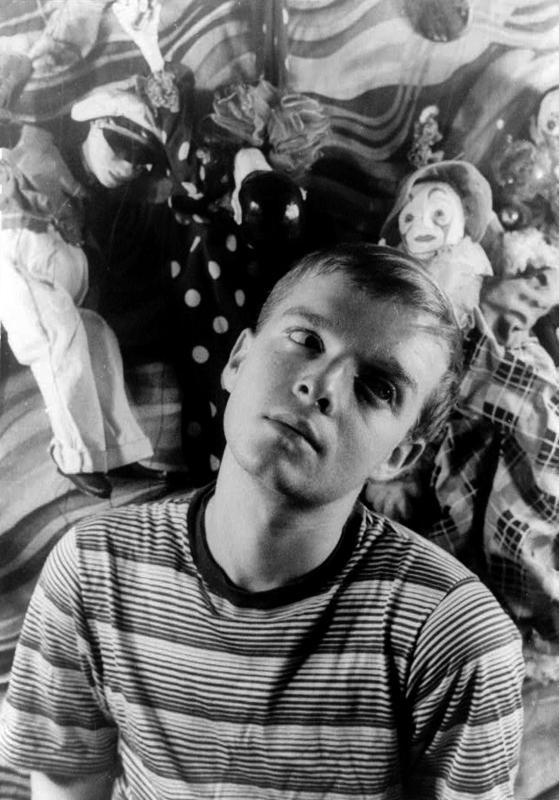 Capote's stories appeared in Harper's Bazaar and Mademoiselle, and in 1948 he published his first novel, the autobiographical Other Voices, Other Rooms. Courtesy of Library of Congress. Photograph by Carl Van Vechten.